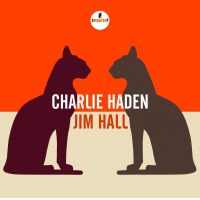 Originally released as limited edition single discs sets, bass icon Charlie Haden and specialty audiophile label Naim Audio finally give The Private Collection broader release. Two CDs documenting two concerts with his then relatively nascent Quartet West from 1987 and 1988, it's also a dovetail to The Best of Quartet West (Verve, 2007), prefacing Haden's 2008 summer tour with founding members Alan Broadbent (piano), Ernie Watts (saxophones) and newcomer Rodney Green (drums). The 1987 show was in celebration of Haden's fiftieth birthday, and features the original Quartet West line-up with the late Billy Higgins on drums. Paul Motian is in the drum seat for the 1988 performance, prior to Larence Marable joining the band and remaining until it's sixth and (so far) final studio disc, The Art of the Song (Verve, 1999). Initially conceived as a West Coast, film noir homage, Quartet West's origins were as more of a playing band, in contrast with later projects, where Haden would paste archival recordings, Zeilig-like, from artists including Coleman Hawkins, Chet Baker and Duke Ellington. 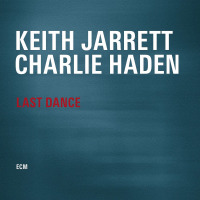 With a handful of tracks from its first two releases, the group takes liberties with tunes like Pat Metheny's "Hermitage"originally a lyrical tune from the guitarist's folkloric New Chautauqua (ECM, 1979)that recall just how exciting the group was in its early years, before a stronger nostalgic penchant set in. Firmly planted in the mainstream, Charlie Parker's "Passport" is still a thrilling fifteen minute ride, with fiery solos from everyone, most notably Higgins, whose brushwork remains an unparalleled thing of beauty to this day. Motian's set makes clear, on Charlie Parker's "Lisa," that despite a lifelong predilection for color he's just as capable of swinging hard. But it's the 23-minute version of Ornette Coleman's "Lonely Woman" that's a high point on two-and-a-half hours of music where the bar is set extremely high from the outset. More open-ended than anything the group's recorded before or since, its unbridled bursts of energy prove Broadbent and Wattstwo players largely associated with the mainstreamto be more widely versed than their discographies suggest. 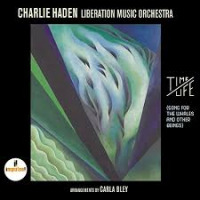 Haden's solo returns to the country roots of his younger days, but feels completely natural in the context of Quartet West's no-boundaries approach to this Coleman classic. Two versions of Metheny's poignantly balladic "Farmer's Trust" shed light, not only on how each performance is different for Quartet West, but on the difference two drummers can make. 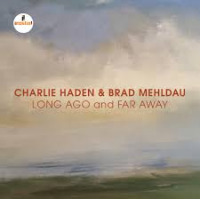 With Higgins it's taken at a brighter tempo, swinging in ways that Metheny's original on Travels (ECM, 1983) never did. With Motian the tempo is slower, the drummer providing a more texturally driven, implicit pulse. Still, as the tune intensifies during Watts' fluid solo, Motian doesn't steer clear of explicit rhythm, making it the more dramatic and, ultimately, satisfying take. 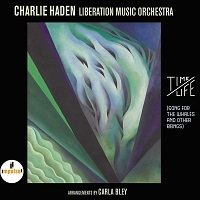 Surpassing its Best of collection, The Private Collection finds Haden and Quartet West at its true best, with material spanning four decades but still sounding, twenty years later, as if it had been written yesterday. Track Listing: CD1: Hermitage; Passport; Misery; Nardis; Segment; Farmer's Trust; Etudes. CD2: Bay City; Farmer's Trust; Lonely Woman; Silence; Body & Soul; Lisa. 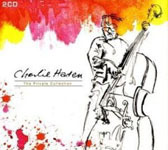 Personnel: Charlie Haden: bass; Alan Broadbent: piano; Ernie Watts: saxophones; Billy Higgins: drums (CD1); Paul Motian: drums (CD2).